Rosalie Skinner Profile | Coffs Harbour Writers' Group Inc.
Rosalie spent the first forty years of her life as an obsessive reader before taking up a quill and penning The Chronicles of Caleath. 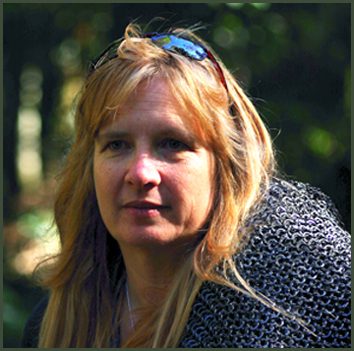 Fantasy and science fiction allowed her to weave life experience with imagination to create a world where her main character would fulfil his quest. She spent much of her life raising three children while working as a professional portrait artist. She also spent years breeding Australian cattle dogs and children’s ponies. When her regional library failed to keep pace with her appetite for new books, she began to write. Writing became an obsession while watching her teenage daughter cope with chronic disease. There is a theme running through the series that reflects the courage and despair experienced as her daughter’s potential for a successful future evaporated. Watching her daughter’s courage in the face of adversity inspired Caleath’s story.